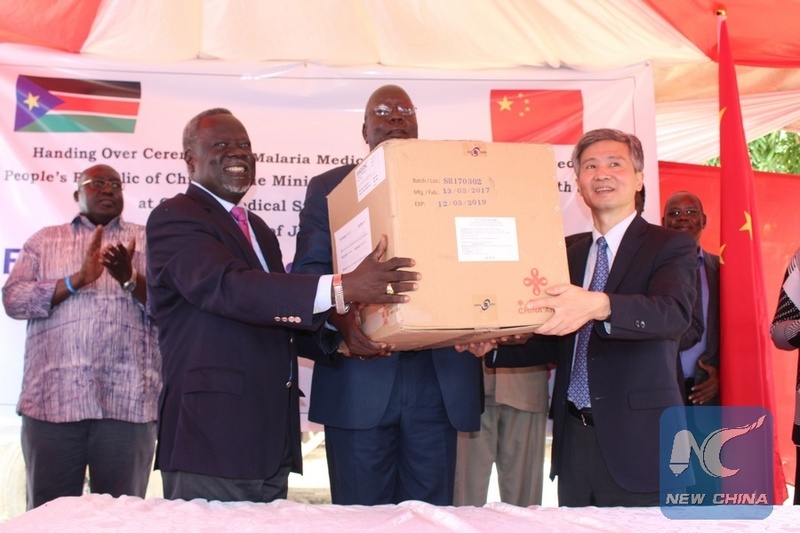 NAIROBI, Sept. 24 (Xinhua) -- The UN World Health Organization (WHO) has urged African countries to buy less expensive quality generic medicine from China and India to save more lives. WHO's Director of Essential Medicines and Health Products Department Suzanne Hill said the generic medicine from the two Asian nations are proven effective in fighting tropical diseases. "HIV/AIDS, anti-malarial and antibiotic medicine from the two countries that are readily available in African health facilities are already proving effective and giving people new life in the continent," Hill told Xinhua in an interview on Friday. She encouraged African governments to start local production while ensuring that locally manufactured medicines meet the required standards of safety and effectiveness. "The regulatory authorities need to be fully-equipped to ensure that the firms manufacture recommended and quality medicine," she noted. Hill said that the imported quality generic medicines are still less expensive than locally manufactured ones in countries where the local industry is not very advanced. "Ensure that these medicines are affordable so as to expand access to treatment for all," she added. The UN health agency has launched a project to help prequalify biosimilars medicine that has proven effective in treating non-communicable diseases (NCDs), particularly certain cancers. Biosimilars are different from regular medicines as they are derived from living organisms. "They are more accessible and could expand access even in the poorest countries, but we must ensure that they are of good quality," Hill added. She further said that WHO will start to evaluate similar cancer treatments - rituximab and trastuzumab - next year and has future plans to introduce insulin for diabetes. WHO has started gathering data on the accessibility of medicines for diabetes, heart diseases and pain management in the 15 African countries in partnership with the European Union (EU) and the African Caribbean and Pacific (ACP). In their first analysis of the survey, the UN agency has found that insulin is on average available in only 51 percent, morphine for pain management is available at most in 23 percent and ketamine, which is used as an easy to administer anesthetic in African countries and during emergencies is available in less than 40 percent of health facilities. Hill called on regulatory authorities in Africa to collaborate in sharing the costs of regulatory work and expedite the approval of life-saving medical products. Matshidiso Moeti, WHO Regional Director for Africa, revealed that Africa carries 25 percent of the world's disease burden, but consumes less than 1 percent of global health expenditure. She attributed this to insufficient access to quality-assured medicines and high price of medicines. "Without greater and more concerted efforts in this area, we will not achieve universal health coverage," Moeti added. She called on African governments to take seriously issues of access to essential medicines and health technologies and invest time and resources into these programs.